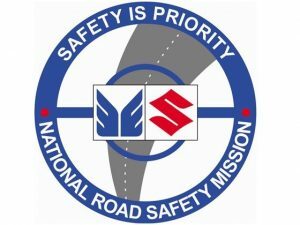 As part of its efforts in the same direction, Maruti Suzuki has come out with its latest communication campaign on road safety – a series of 8 films that take on the challenge of positively impacting people’s attitude towards road safety. The films are not so much about educating road users and creating road safety awareness amongst them, as they are about changing their attitude of apathy towards road safety. It is this apathy that Indian road users can sometimes have towards traffic rule violations, which has dire consequences for them and fellow road users. The campaign aims to stir their conscience and make them reflect on their apathy. More than spreading awareness, Maruti Suzuki is hoping for an attitude change amongst road users, as an impact of the campaign. Road users are generally aware of rules in case of the most common traffic rule violations, such as not wearing seatbelt/helmet, not stopping before zebra crossings etc. What they lack is an attitude of concern towards the grave consequences that may arise owing to their violations. Hence, the intent is to create a conscience for road safety rules, which are otherwise most commonly neglected. The films cover subjects which are integral to our everyday living – giving way to ambulances, saying no to drunk driving, always wearing a seatbelt, lane driving, avoiding phone calls while driving etc. The plot of each film lets you pause and ponder about your own behavior. As the films go for a PAN India release this month, Maruti Suzuki hopes this effort can help make roads safer in India.